Nose: Mineral water, pear, tangerine, lemon thyme. Palate: Full bodied and subtly sweet. Fresh squeezed orange juice, gravel dust, winter savory. Finish: Orange juice then minerals and a lingering sweetness. 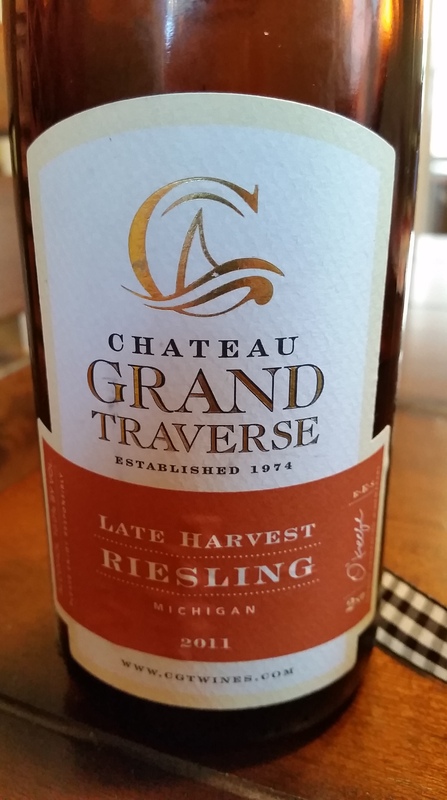 Parting words: As much as I love Chateau Grand Traverse and Riesling, I shocked myself when I saw this on a shelf a few months ago and realized I had never tried it. Not sure why I never picked up a bottle but I’m very glad I did. I’m not sure my tasting notes do it justice. It’s more complex than they might lead one to believe. It’s well integrated but not over-integrated, if that makes sense. The herbal, mineral, and fruit aromas all dance back and forth, each taking their turns leading the wine, but never blurring into one. I like that quality very much. That’s true complexity. The best Four Roses bourbons have that and this wine has it too. The price for this wine is so stupid cheap that I would call this a must buy for anyone who loves Michigan Riesling, or Riesling in general. 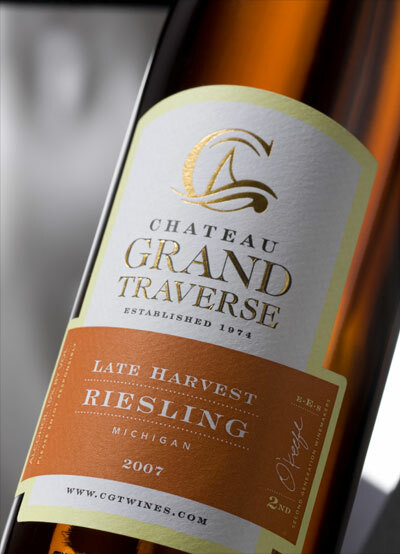 Chateau Grand Traverse’s 2012 Semi-dry Riesling is highly recommended. Nose: White peach, apricot, lime zest, sherry. Palate: Medium bodied. Sweet and citric. Hazelnuts, lychee, rancio. Finish: Like an orange push pop but not as sweet. Parting words: 2011 in northern Michigan was one of the rare vintages that was both prolific and high quality. Reds did particularly well but the whites were no slouch either, as this wine clearly shows. CGT’s 2011 LHR exhibits all the characteristics of an excellent, aged wine of this type. Loads of rich, oxidized flavor but elegantly balanced with citrus and a touch of bitterness. This wine is best on its own or with cheesy or hors d’oeuvres. My wife was craving a white wine with dinner so we ended up drinking it with grilled hot dogs and potato chips and it did just fine with those, bringing out big orange flavors. This is another big winner from Chateau Grand Traverse and the 2011 vintage. Highly recommended. Nose: Lychee, pineapple, tangerine, pear. On the palate: Full-bodied and mouth-puckeringly tart when fresh from the bottle. Lemon, sour candy. As it has time to open up at room temperature it calms down quite a bit. The citrus is still there and still strong, but a pleasant herbal note asserts itself. Underneath all this is a beautiful firmness that presages good things to come. Finish: Fairly sweet but still very tart. Fades fairly quickly and leaves a slightly sticky residue on the lips. Parting words: I think this is another lesson wine for me. It was close to undrinkable on first pour, but I don’t think that’s due to any inherent flaw in the wine. I may be all wet here, but I think it needs much more time in the bottle to settle down. As it is, it’s unbalanced. There is plenty of good stuff going on. The fruit in the nose is wonderful and the mouth feel is great, but this wine is not ready for primetime. This is the first time I have encountered a Michigan wine like this from a major quality producer (one of my favorites actually). Far from being disappointed I was encouraged that Michigan producers are making wines for which multi-year bottle aging isn’t just possible but recommended. That’s an encouraging sign. Anyhow, rather than give a mild recommendation to this, I will give it an I for incomplete. Good thing I have another bottle cellared.